Walking south along the eastern edge of this Park you are on a bicycle path. Cycling is a convenient way to explore the Park Lands. With its original broad, flat streets and a growing network of dedicated cycling paths, Adelaide is made to be seen on bike. Adelaide City provides free bikes for hire. The two nearest stations to hire a free bike is at the Meridien Hotel in Melbourne Street, or at Adelaide Zoo. There is also a commercial bike hire company OFO which uses dockless bikes and a smartphone app. The next stop is at the corner of Mann Road and Bundey's Road. Adelaide Park Lands Preservation Association, “8. 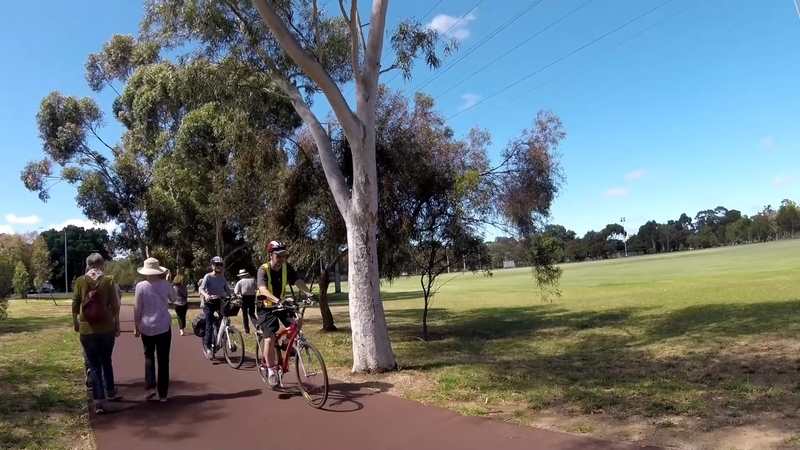 Bicycle path,” Adelaide City Explorer, accessed April 26, 2019, https://adelaidecityexplorer.com.au/items/show/322.